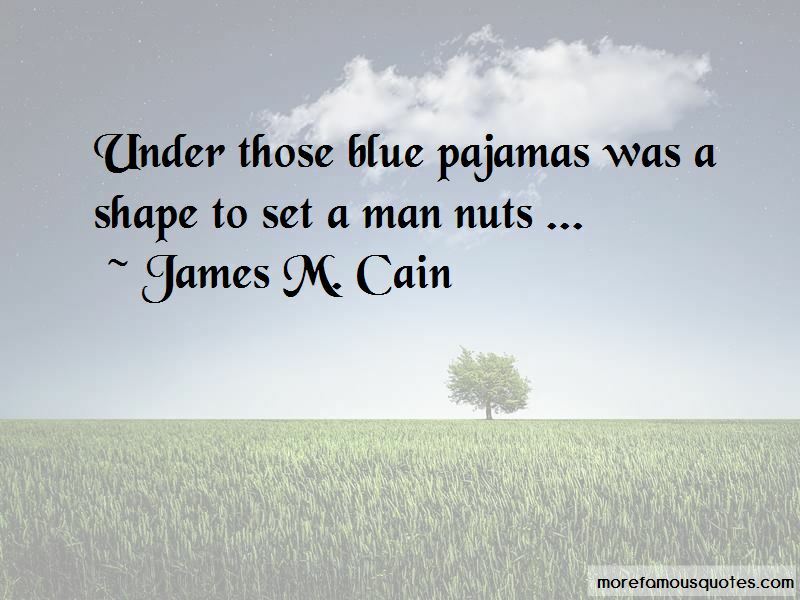 Enjoy the top 45 famous quotes, sayings and quotations by James M. Cain. 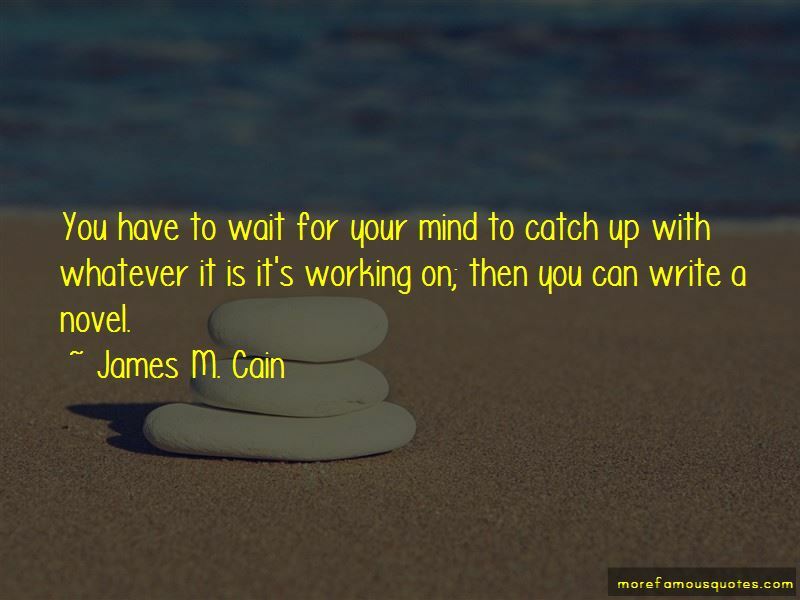 You have to wait for your mind to catch up with whatever it is it's working on; then you can write a novel. I had killed a man, for money and a woman. I didn't have the money and I didn't have the woman. A woman is a funny animal. I ripped all her clothes off. She twisted and turned, slow, so they would slip out from under her. Then she closed her eyes and lay back on the pillow. Her hair was falling over her shoulders in snaky curls. Her eye was all black, and her breasts weren't drawn up and pointing up at me, but soft, and spread out in two big pink splotches. She looked like the great grandmother of every whore in the world. The devil got his money's worth that night. A lot of novelists start late-Conrad, Pirandello, even Mark Twain. When you're young, chess is all right, and music and poetry. But novel-writing is something else. It has to be learned, but it can't be taught. This bunkum and stinkum of college creative writing courses! The academics don't know that the only thing you can do for someone who wants to write is to buy him a typewriter. “She looked like the great grandmother of every whore in the world. The devil got his money's worth that night. 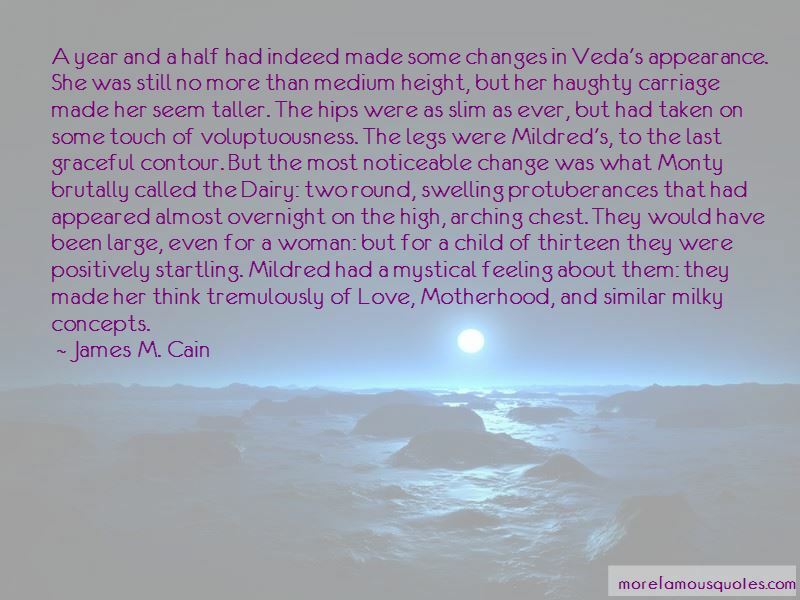 Veda began it, but when she finished it, or whether she finished it, Mildred never quite knew. Little quivers went through her and they kept going through her the rest of the night, during the supper party, when Veda sat with the white scarf wound around her throat, during the brief half hour, while she undressed Veda, and put the costume away; in the dark, while she lay there alone, trying to sleep, not wanting to sleep. This was the climax of Mildred's life. A guitar has moonlight in it. Want to see more pictures of James M. Cain quotes? 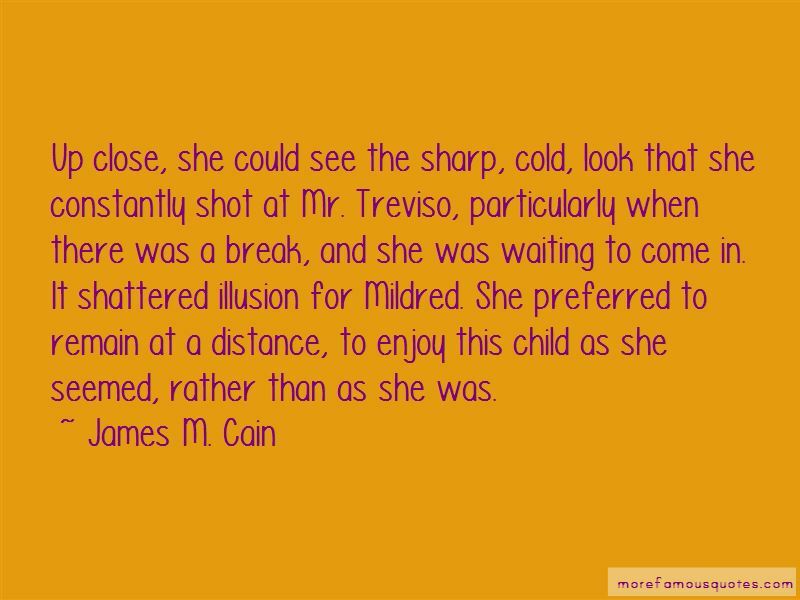 Click on image of James M. Cain quotes to view full size.